Animals migrate from all around the world, from north to south and back. From east to west and back up and over hills. Find out playing this game about a few of these incredible journeys! 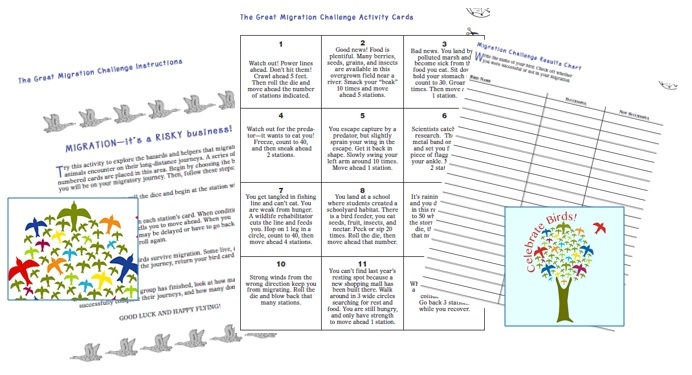 Try this great game to explore the hazards and helpers that migratory birds encounter on their long-distance journeys. 4 wonderful coloured photographs of migratory birds from around the world.